From the pages of Star Wars Insider! 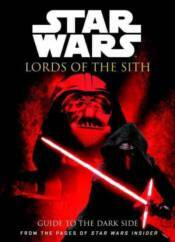 A must for Star Wars fans new and old, this collection is the ultimate look at the saga's most powerful masters of evil! In-depth features about some of the most memorable Star Wars villains, cast and crw interviews, and incredible images from the Lucasfilm Archives.